Marketing hooks can be wearing: witness the glut of Titanic titles this spring. And poise to duck as presses fling out Union-Jack jacketed tomes this June. My tip: camp in France all summer to dodge jubilee fatigue. January saw the centenary of Scott’s ill-fated Terra Nova expedition from Cardiff to Antarctica. Current commemorative exhibitions include George Herbert Ponting’s photographs at Buckingham Palace and South for Science at the National Museum Cardiff. This spring, publishers of Welsh authors hope to cash in on the same commemoration. In May, Parthian brings out John Harrison's Forgotten Footprints, Lost Stories in the Discovery of Antarctica. This comprises anecdotes not just of the big players but also of lowlier voyagers to the southmost continent, including sailors, aviators and whalers. An author tour this summer takes in Hay and the newly launched Dinefwr Festival on 30 June. And in the same month, Picador publishes a poetry collection that has at its heart a major sequence on both of Scott’s early-century expeditions. Banjo, by Samantha Wynne-Rhydderch, is reviewed in the June issue of New Welsh Review by Alice Entwistle who found it ‘magnetising’ and ‘precision tooled’. Like John, Samantha is from a seafaring family, in her case hailing from Newquay where she lives in her sea-captain ancestor’s house. I found especially moving the description in her poem, ‘My Year Out’, of Scott’s frozen arm being snapped to free his journal. His diary entries, written in double-figure sub-zero temperatures, preserve the detail of his team’s tragedy. And although we are still in the run-up to World War One’s centenary, phenomena such as the TV film Birdsong and War Horse’s film and theatre run (both adapted from books by Sebastian Faulks and Michael Morpurgo, respectively) may only be softening us up for WWI overload in 1914 (I predict a fashion for military jackets with leather cross-strap detail). I could include PJ Harvey’s trench-warfare inspired Let England Shake in this trend, but the music’s too brilliant to fault, least of all for motives of cynical marketing. The translator of the original War Horse children’s book into Welsh, Ceffyl Rhyfel is Casia Wiliam, who was my companion at the recent Publishing Trade Awards ceremony for titles sold through the Welsh Books Council (WBC) in 2009-10. WBC Chair M Wynn Thomas was also in the mood for commemorating that night as he listed birthdays including the WBC itself (50) and Gomer (120) who picked up five awards ranging from art book to English fiction bestseller) and Honno (25). Other prizes included English-poetry bestseller: Bloodaxe’s The Water Table by Philip Gross, a regular of my magazine (look out for his new sequence in our June issue, now at press). A final date. 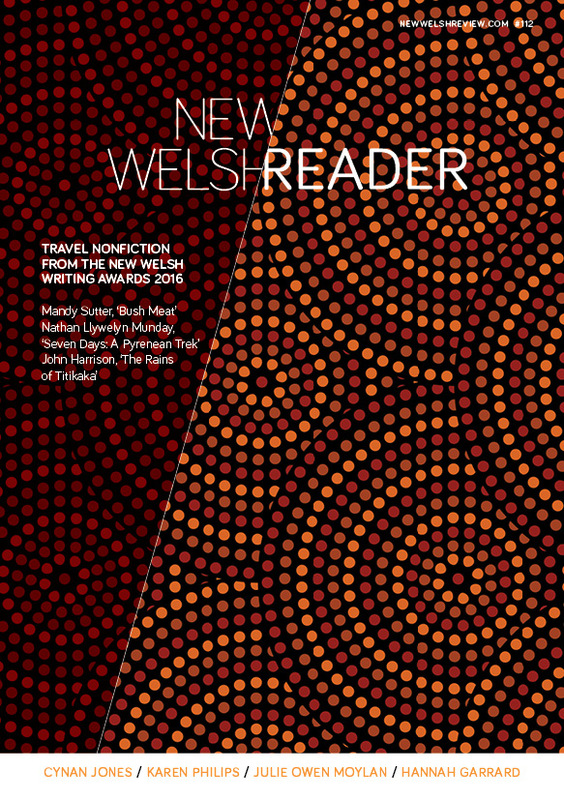 Apply by 29 March to win the New Welsh Review-Coracle Irish residency award: open to writers and writers with publishers based in Carmarthenshire, Ceredigion or Pembrokeshire. The winner's work, a creative prose piece based on place, will appear in our September issue and receive £105 plus the opportunity of staying in south-east Ireland. This is a version of Gwen's Western Mail Insider column published on Saturday 24 March 2012.